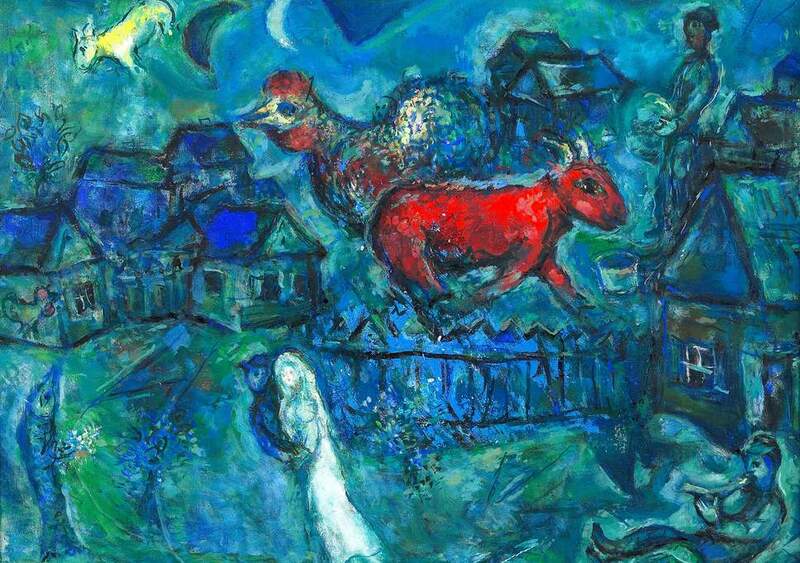 Need something with some beauty and a bit of grace this morning so I thought I’d run some paintings from Marc Chagall here. Here’s a post from a few years back that I think fills the bill. When I am finishing a picture I hold some God-made object up to it–a rock, a flower, the branch of a tree or my hand– as a kind of final test. If the painting stands up beside a thing man cannot make, the painting is authentic. If there’s a clash between the two, it is bad art. 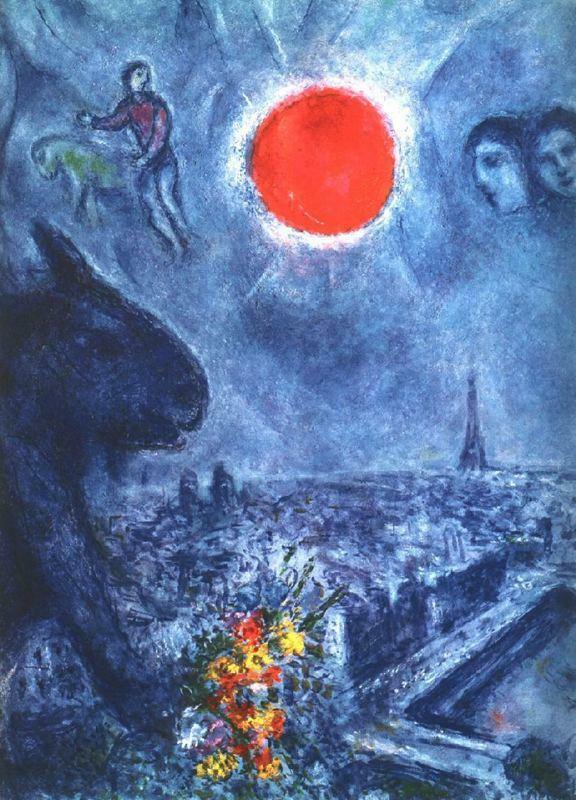 I have only mentioned Marc Chagall here once over the 6+ years I have been doing this blog and I very seldom list him as one of my influences or even one of my favorite artists. But somehow he always seems to be sitting prominently there at the end of the day, both as a favorite and an influence. 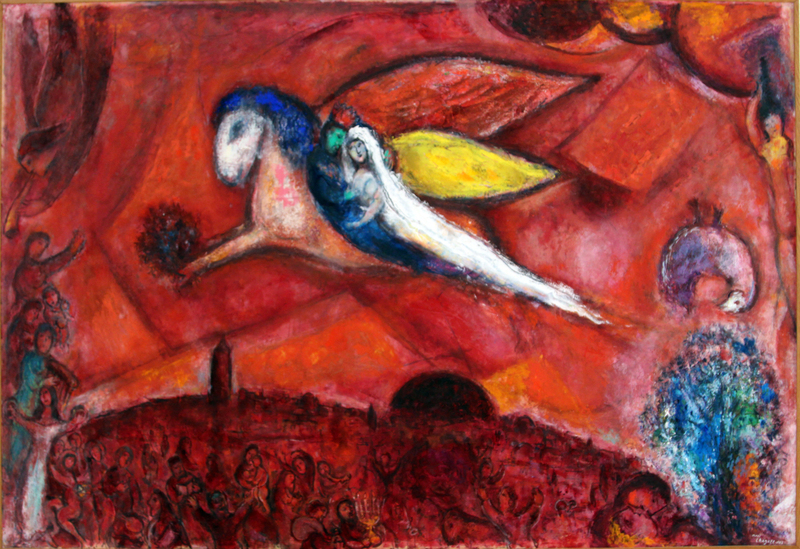 One way in which his influence takes form is in the way in which he created a unique visual vocabulary of symbolism within his work. His soaring people, his goats and horses and angels all seem at once mythic yet vaguely reminiscent of our own dreams, part of each of us but hidden deeply within. They are mysterious but familiar. And that’s a quality– mysterious and familiar– that I sought for my own symbols: the Red Chair, the Red Tree and the anonymous houses, for examples. 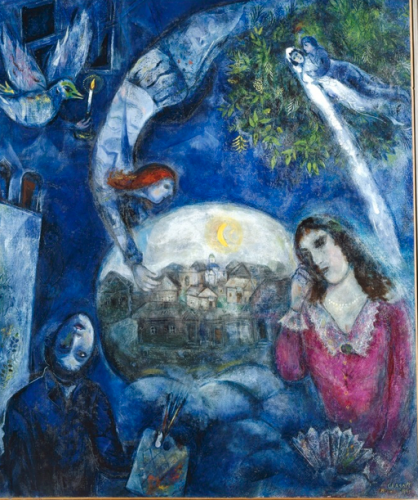 That need to paint familiar objects that could take on other aspects of meaning very much came from Chagall’s paintings. He also exerted his influence in the way in which he painted, distinct and as free-flowing as a signature. It was very much what I would call his native voice. Not affected or trying to adhere to any standards, just coming off his brush freely and naturally. An organic expression of himself. And that is something I have sought since I first began painting– my own native voice, one in which I painted as easily and without thought as I would write my signature. 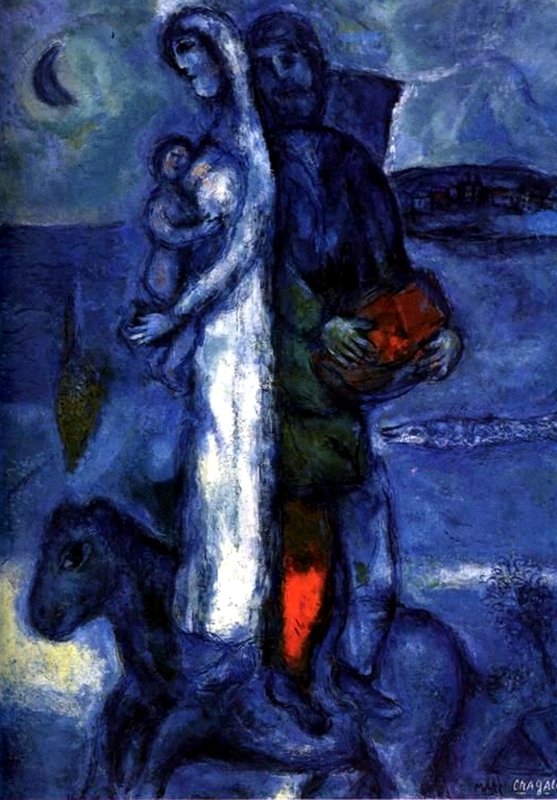 So to read how Chagall judged his work for authenticity makes me consider how I validate my own work. It’s not that different. I use the term a sense of rightness to describe what I am seeking in the work which is the same sense one gets when you pick up a stone and consider it. Worn through the ages, untouched for the most part by man, it is precisely what it is. It’s form and feel are natural and organic. There is just an inherent rightness to it. I hope for that same sense when I look at my work and I am sure that it is not far from the feeling Chagall sought when he compared his own work to a rock or a flower or his own hand.